R. Kennedy has long been focused on providing solutions for the surveying, construction, mining, mapping and wider geospatial industries, sourcing technology from its global partners to service the local market. 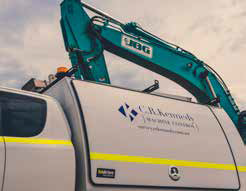 Founded in 1934, C.R.Kennedy has over the years built a comprehensive national network, and is well aware of the importance of innovative technology solutions underpinned by a strong service offering. 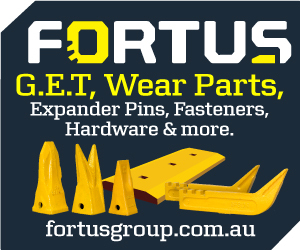 With its headquarters in Port Melbourne, C.R.Kennedy’s national network encompasses major state offices in Brisbane, Adelaide, Sydney and Perth, along with regional offices in Cairns and Mackay, and comprises close to 300 staff, including product specialists, qualified surveyors, support staff and factory-trained service technicians. 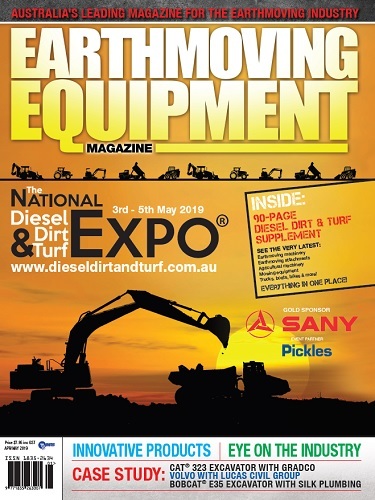 As the sole and exclusive distributor for Leica Geosystems in Australia, C.R.Kennedy provides a range of machine control solutions, employing smart, connected technology to bring additional insights to operations, enhance productivity and promote efficiency. The Leica iCON portfolio comprises a number of different technologies, made up of hardware and software solutions, utilising data to aid real-time operations across a range of applications. 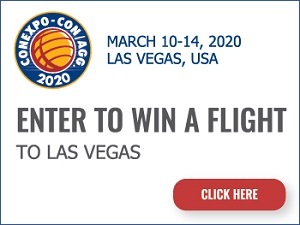 Among the recent additions to C.R.Kennedy’s Leica range, the iCON gps 70 T GNSS rover, which combines GNSS and inertial measurement technology, is designed for maximum efficiency. It is equipped with permanent tilt compensation and is resistant to any magnetic interference, while being calibration free, it is ready anytime and anywhere. The permanent tilt compensation means that it is not necessary to hold the pole vertical when taking measurements, extending measurement possibilities, improving data quality and accuracy, and providing a productivity boost compared to conventional methods. As part of the iCON product portfolio, the iCON gps 70 T follows the same workflows and is designed to integrate with the iCON site software. Meanwhile, the Leica MCP80 machine control panel, in conjunction with an intelligent Leica MDS docking station, provides a one-for-all machine control hardware solution for heavy construction applications, with all 3D machine control software solutions compatible with the MCP80. Featuring one common interface across all 3D machine control applications, the MCP80 is interchangeable between any heavy construction machines, with operators needing to be trained on only one 3D panel. Machine-specific data is stored in the docking station, with the MCP80 capable of being used on any other machine without the risk of losing data. The MCP80, which sports an 8” full-colour touch-screen and backlit buttons, is designed for ease-of-use and features a simple and intuitive user interface, with it connecting to the docking station for simple installation. A key component of Leica’s iCON portfolio is its software solutions. 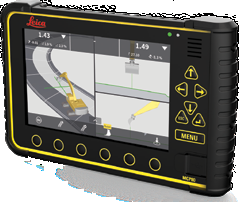 The Leica iCON site software provides users smart, customised positioning solutions for road construction and civil engineering applications. Designed for all levels of construction user, the software features an easy-to-understand and intuitive interface. It provides for seamless integration into all iCONstruct sensors and controllers, seamless data integration into the iCONtrol machine control portfolio and workflows, and a customisable solution to increase productivity by focusing on site-relevant tasks. An important component of C.R.Kennedy’s offering is its national after-sales service network, which includes training, service and repairs, along with technical support. C.R. 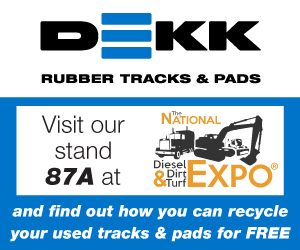 Kennedy will be at The Diesel Dirt & Turf Expo at site 111.